ScanMyPhotos.com Blog: How to Restore Your Photos? There are times that people may have old photographs they would like to restore to save the memories. Photos usually get damaged with time or if preserved in a frame that had been exposed to direct sunlight for many years. The pictures may get blurred, the color fades and the picture might acquire marks and scratches. 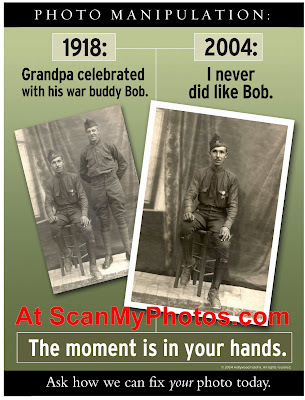 Visit ScanMyPhotos.com photo restoration services, we magically fix your pictures. A photographic image looks like something that will last forever, but even the most modern prints are not designed to last for more than a few decades. Black-and-white photographs, made up of light-sensitive silver salts known as silver halides, last longer. But color photographs and slides, which are made up of dyes and plastics, are more fragile. Still, any photograph will eventually succumb to the effects of a hostile environment and a host of natural enemie s. Photo restoration services are the pound of cure which can be avoided by preserving intact photos today. -High temperature and relative humidity The emulsion layer of a photograph, the light-sensitive component that actually captures the image, is made up of organic materials, including gelatin. That makes the emulsion susceptible to mold and fungi, especially when subject to the combination of heat and moisture. Photographs should be stored in a cool, dry place, below about 68º Fahrenheit and under 50% relative humidity. -Ultraviolet Light Go ahead. Tempt the fates. Hang a color photograph on a wall in your house where the sun hits it every day, and you can start watching it fade within just a few years. To prevent fading, keep your photographs out of direct exposure to sunlight. If you absolutely must display that picture in that perfect spot, you buy special filters to protect the photo. Another good idea is to make one copy for long-term storage and a second for display. 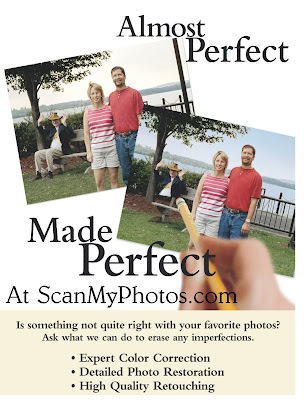 Take intact photos in to a photo professional to be scanned and archived to disk. 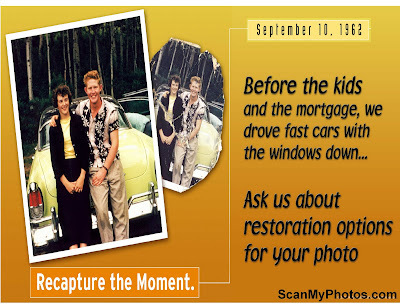 If you've recently had a photo restoration done, make sure to have a digital copy on file. 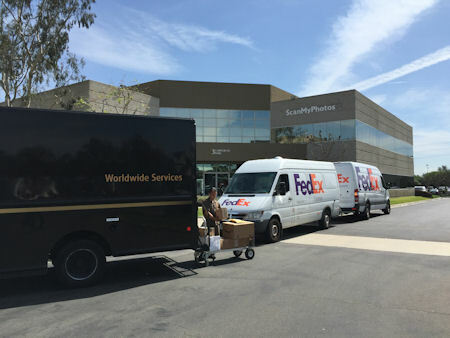 -Wood and Paper Products What could be more natural than a tree, That may be true, but many wood and paper products contain harmful acids, bleaches and other chemicals that can damage the emulsion of your photograph over time. Use only acid-free paper products. When shopping for "archival" products, make sure you are getting what you pay for - there is no accepted "archival" labeling standard. -Adhesives & Rubber. Remember those easy-to-use sticky-back photo albums. Bad news and we all know it. But most adhesives, including the rubber cement often used in so-called "magnetic" photo albums, contain harmful chemicals such as PVC that will eventually destroy your photographs. Rubber bands can have the same effect. That makes them both a big no-no. -Air pollutants. It may come as a surprise, but even the fumes from household cleaning products and fresh paint can damage photos. You probably won't notice the effects right away, but in time they will become painfully obvious. -Metallic Objects. On a more practical level, metallic objects such as keys and paper clips can scratch the surfaces of your prints and negatives. Don't clip your photos together, and try not to store them in the same box as your screwdrivers. Preserving photographs, which are organic and temporary by their very nature, may seem like an uphill battle. But with smart decisions about storing and displaying your photos, it doesn't have to be. Follow the tips in our next article and you'll be that much closer to making your photo collection last a lifetime. Photo restoration and photo retouching is our business, but preserving precious family photos is our mission at ScanMyPhotos.com. For complete info and to access the downloabale order form, click Here. Reach us anytime with your questions.